ALERT: Due to construction of the New Wilson School, the Penzance Site, the Queens Court Apartments, and the New Rosslyn Highlands Park, the park and playground will be closed until the end of 2021. There are a number of nearby parks with similar amenities. 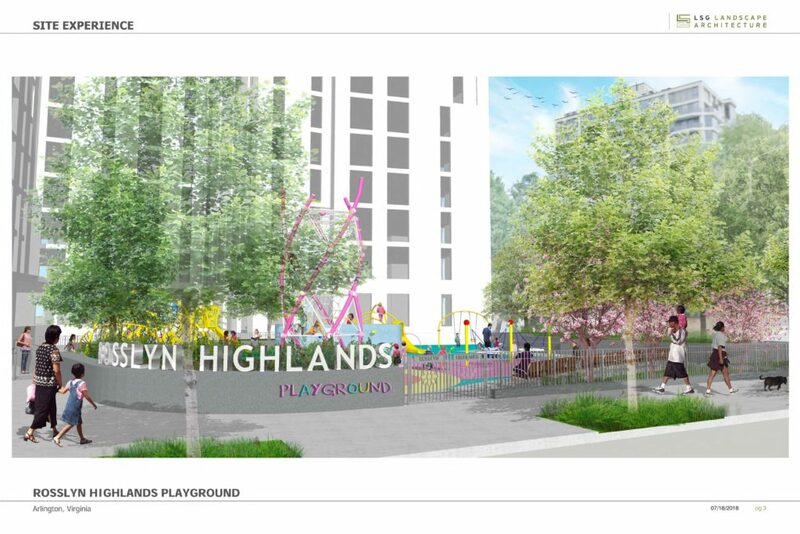 The Rosslyn Highlands Park Playground is one component of Rosslyn Highlands Park+ (RHP+). RHP+ will be a dynamic park in the heart of Rosslyn. 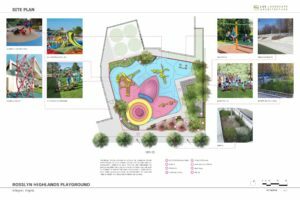 The park is one component of an even bigger project that includes a new high school, residential and commercial development, as well as the construction of a new fire station. 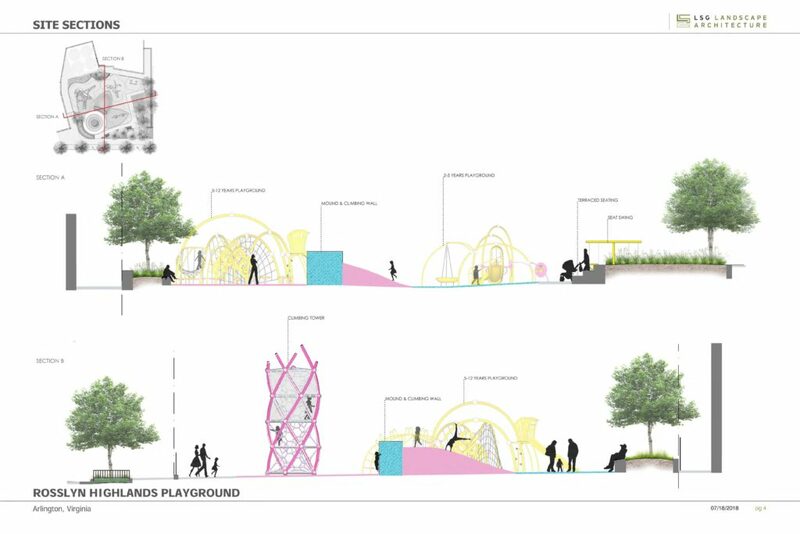 In the fall of 2015, Arlington County worked with the community to develop a conceptual plan for a new Rosslyn Highlands Park and the other public spaces associated with the Western Rosslyn Area Plan (WRAPS). 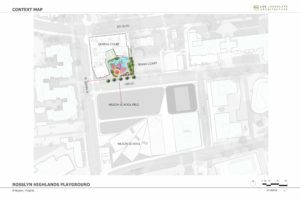 The RHP+ Coordinated Open Space Plan, which was adopted by the County Board in September of 2016 will guide the design and construction of the park spaces. Staff appreciates the many contributions made by community members and users of the park. 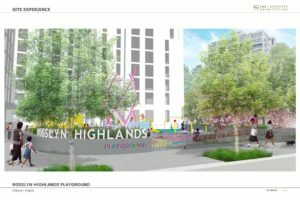 The Rosslyn Highlands Park Playground will be located at the NE corner of 18th and Quinn Street on the site of the future APAH-owned Queens Court Apartments. 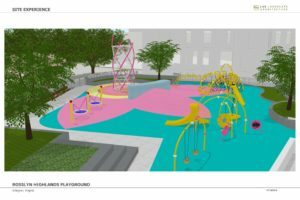 In 2017, Arlington County developed two conceptual plans for the design of the new playground and presented them at a community meeting and solicited feedback online. 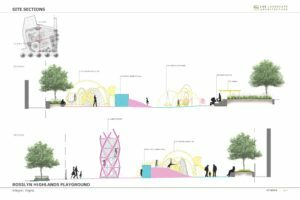 Based on the feedback gathered, the Department of Parks and Recreation has proceeded with Concept A, and have further refined the design to incorporate much of the great input received. For example, staff were able to adjust the design to fit in some additional swings and made sure to incorporate as much seating as possible. You can review the new design in the image gallery above, or by downloading the higher resolution images here. APAH has begun construction on the Queens Court Apartment site, and the playground will be able to start construction once APAH is near completion at the beginning of 2021. 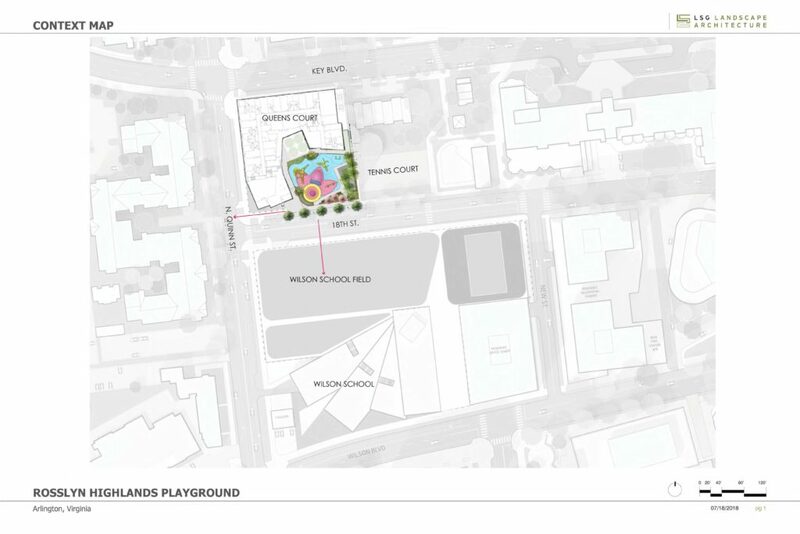 The playground is anticipated to open near the end of 2021. Park Master Plan and developer or privately funded contributions.